Own a true piece of history! 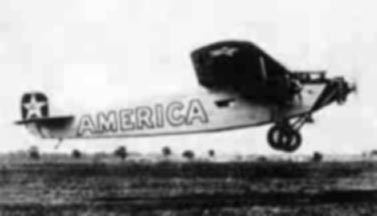 Concluding an otherwise successful non-stop flight across the Atlantic Ocean, the "America" crashed-landed in the waters off Ver-sur-Mer, France. Her engines were removed and overhauled, but the remainder of the aircraft fell victim to the tides, and to overzealous souvenir hunters. For more information about the 'America' and the historic flight, click here. In the 1980s, Pat Reilly, who once worked for Pan American Airline, was doing a story on the historic flight of the "America" and, in the process, acquired numerous items relating to the airplane, including one of the propeller spinner caps, as well as the front propeller itself. 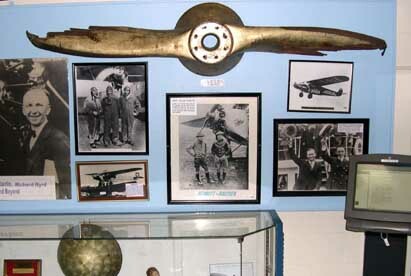 Using his knowledge and resources, he started a museum in France about the celebrated flight. 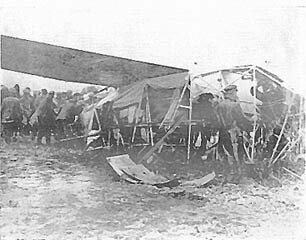 However, he also noted the connection between the aircraft and the state of New Jersey. After all, the aircraft was assembled in the city of Teterboro in New Jersey. Thus, several of the objects Reilly acquired in France became destined for the Aviation Hall of Fame & Museum of New Jersey, who's mission is to preserve the Garden State's distinguished, two-century aviation and space heritage. In a effort to create a unique fundraiser, the museum designed an artifact card available for purchase to the general public. The museum chose to make the "America" propeller the first card since the propeller is owned by the museum. No damage occurred to the detract from the integrity of the propeller in the production of this item. A small wooden segment of the propeller has become separated from the main, and due to the age of the wood, was not reintegrated. The nose propeller, the source of the wood, of the 'America' on display in New Jersey. The card itself is post-card size. 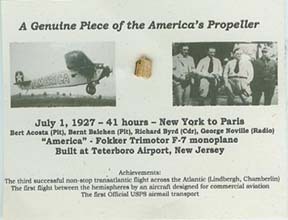 Affixed to the front of the card is an actual piece of wood from the propeller of the monoplane "America". The gold-painted wood propeller which was the third plane to fly non-stop from New York to France, just months after Lindbergh and Chamberlin. 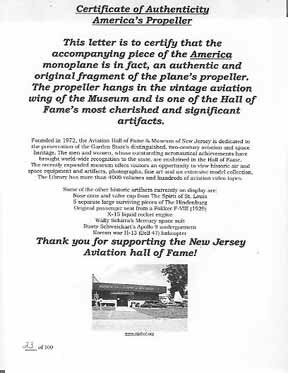 The propeller currently hangs in the vintage Aviation wing of the Museum as the plane was proudly built at Teterboro Airport. Each piece is hand numbered on the back of the card. Along with the artifact card is a 'Certificate of Authenticity' from the Museum which is also hand numbered to the corresponding piece. Only 100 of these artifact cards were and will be produced by the museum, ever!